My 9 year old son has been diagnosed with terminal brain cancer, Medulloblastoma. We are at University of Vermont Medical Center, 6 hours away from home. His father stays in the Ronald McDonald Housing, so I have to stay in a hotel. I need help with travel, lodging, food, and expenses related to being out of work and being here. In February 2019, 9 year old Bryce Anthony Dimick was diagnosed with Medulloblastoma, terminal brain cancer. He has a mass tumor on his brain, and tumors throughout his spine. The tumors are inoperable. 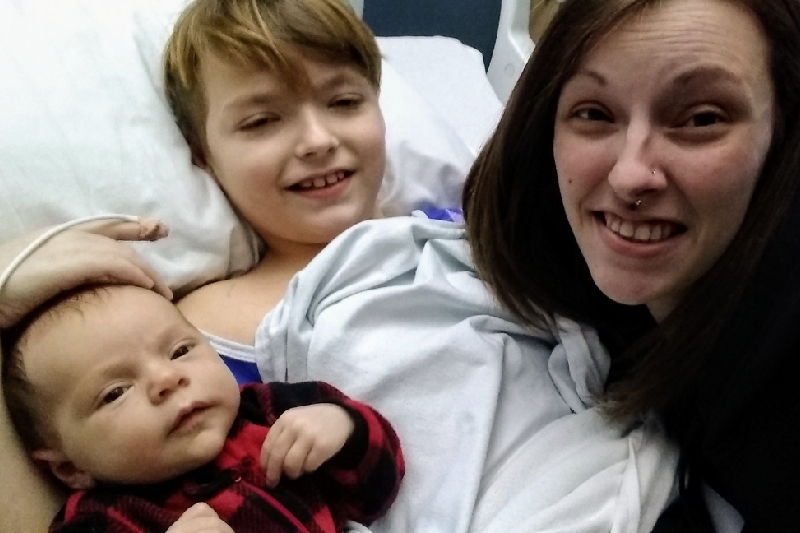 Bryce has had a shunt (drain) placed in his head, and has recently started chemotherapy and radiation with hopes of shrinking the tumors and buying him time. He has had surgery to remove as much of the tumor on his brain as they could, which wasn’t much. And are awaiting results from the biopsy. He’s currently in Burlington, VT at University of Vermont Medical Center. Proceeds will go to me, his mother, Katie (Kay) Davison, to help with travel, food, lodging, and expenses as I live 6 hours away in Auburn, N.Y. I have been out of work due to recently having a baby so funds are already low. I have to pay for hotels every night, Ubers to the hospital and back to the hotel, food, and the bills back home while I’m up here with him. Ronald McDonald can not help, as they can only help one parent, and they are housing his father and the Hope Lodge is for people 18+.